We at The Bike Shack are proud of our store, our employees, our bike and fitness lines and most importantly our customers. Discover the largest and most exciting store in the Dubuqueland area. 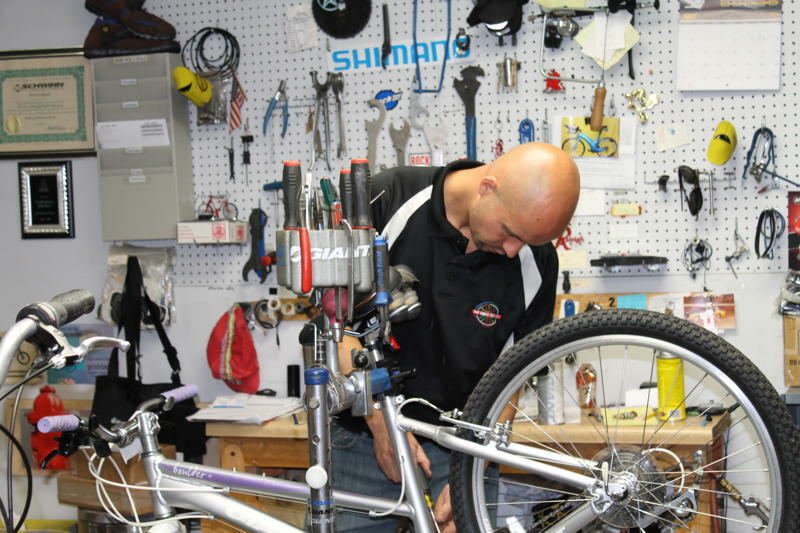 Since 1979 The Bike Shack has been providing the best customer service ranging from your child's first trike to your lighter, faster, higher-performing bicycles. The Bike Shack is your #1 source for bikes, fitness equipment, accessories and parts. We look forward to hearing from you in person, or on-line. We're easy to find on US highway 20 at Cedar Cross Rd. in Dubuque, Iowa. At The Bike Shack we know quality, service, and most importantly, we deliver value. We are members of the NBDA, the professional organization of bicycle dealers, and we also belong to the local Chamber of Commerce and The Dubuque Rotary Club. Since 1979 The Bike Shack has been providing the finest names in biking to the Dubuqueland area. Familiar names like Giant, Raleigh, Electra, Surly and Haro, are in the lineup. For that special bike, try a tandem by Raleigh. We also carry a full line of fitness equipment. Including treadmills, ellipticals, exercise bikes, weight stacks and free weights. With equipment from Spirit, Life Fitness, Body Solid and Waterrower; great products that carry outstanding warranties. For a totally new concept in shopping... check on-line with us for bikes, accessories, helmets, shoes, tools and more. All of our bikes are assembled by certified mechanics, carry a full manufacture's warranty, and receive FREE adjustments for one full year. We've been doing that since 1979! Our Service staff is professionally trained and certified to work on all makes and models of bicycles, not just the ones we sell. Whether it's a tube change, minor tune-up or a major overhaul, you can count on us to guarantee your satisfaction.